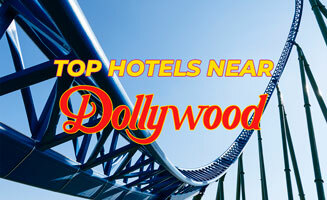 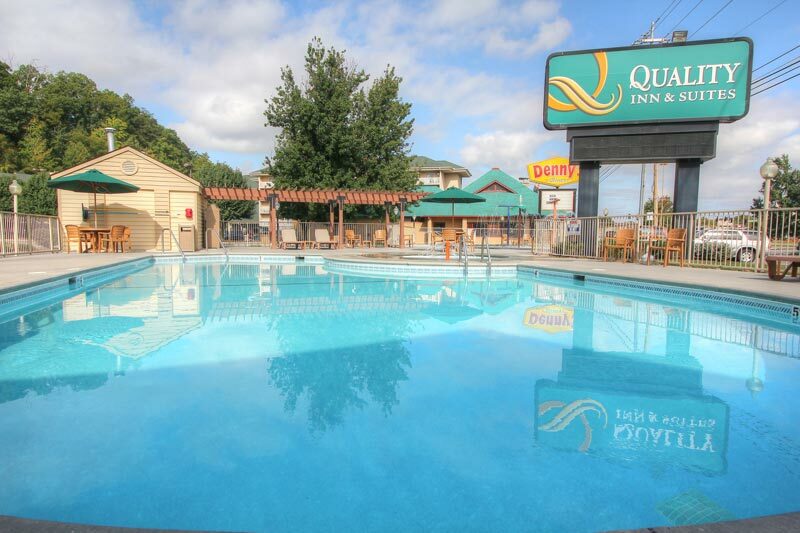 Start your next Pigeon Forge adventure at Quality Inn and Suites Dollywood Lane. 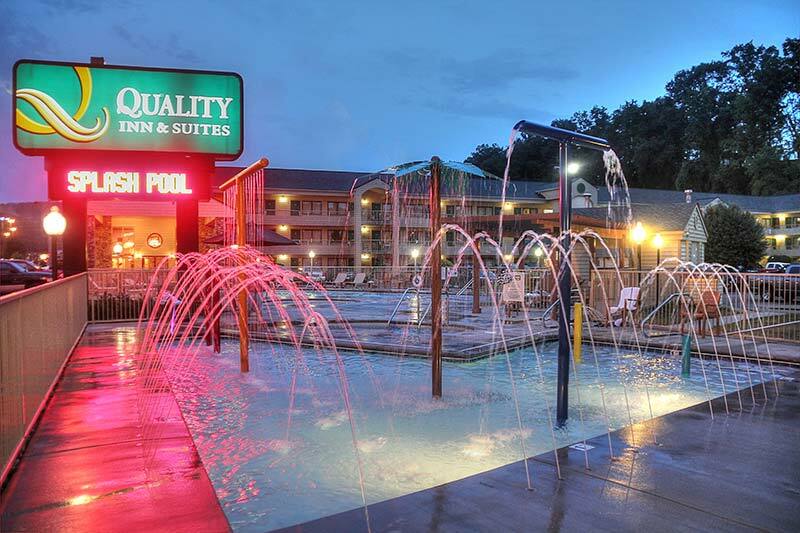 This rustic lodge is located right off the Parkway in the heart of Pigeon Forge, giving you easy access to popular local attractions like Dollywood, Dollywood Splash Country and the Great Smoky Mountain National Park. 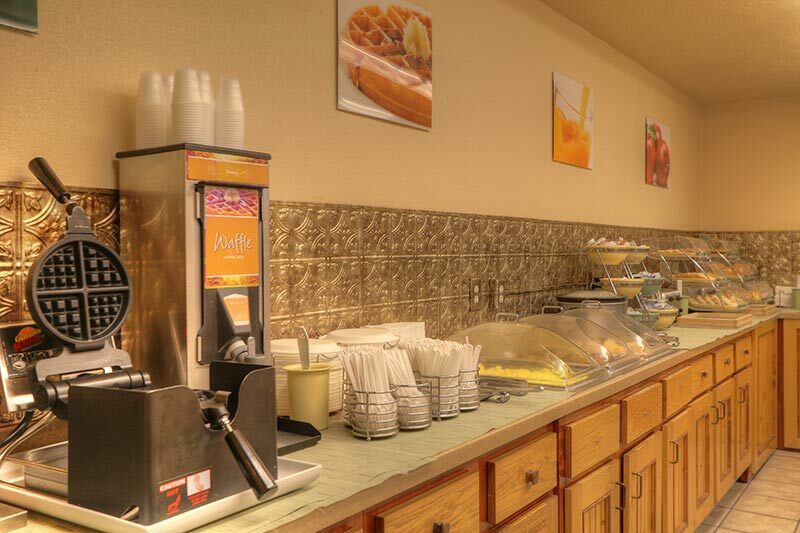 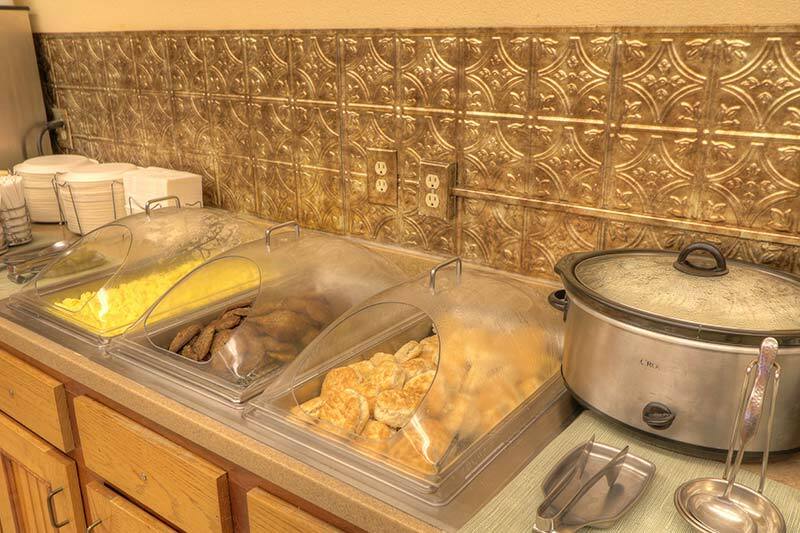 In addition to the accessible location, this Pigeon Forge hotel promises great amenities like a complimentary hot breakfast buffet, free wireless internet, and an outdoor pool for even more family fun. 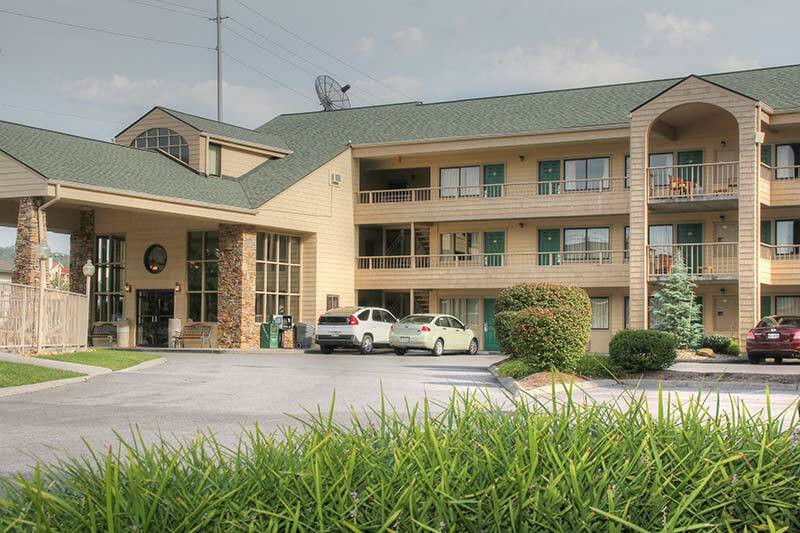 This favorite Pigeon Forge hotel offers a unique combination of rustic surroundings and Southern charm, all with unmatched East Tennessee hospitality. 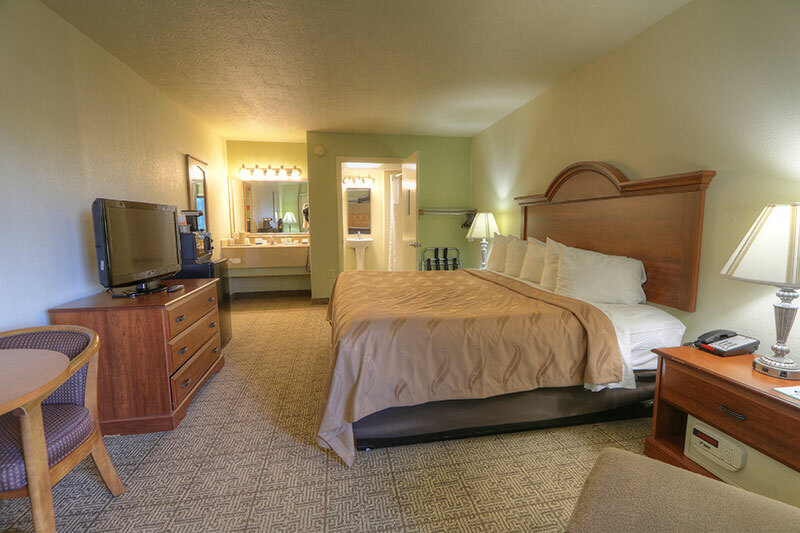 Feel right at home, and soak in our friendly charm. 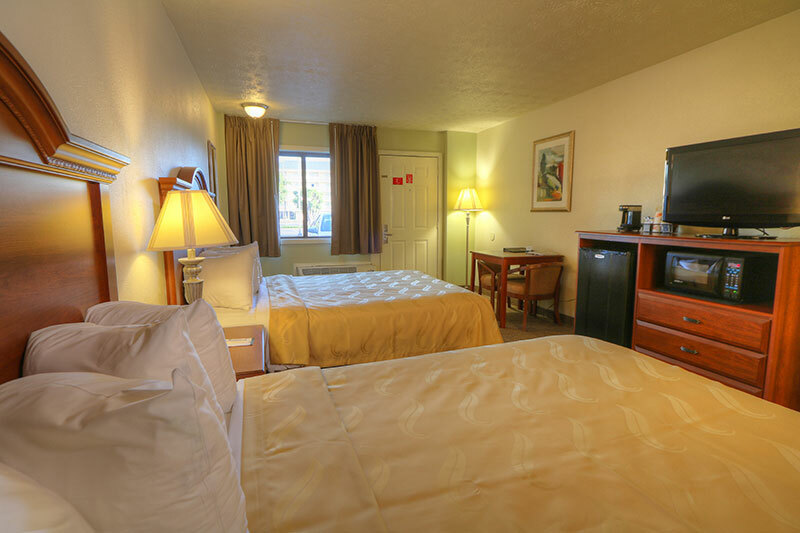 Unwind and explore from this great hotel room or suite in the center of all the Pigeon Forge fun. 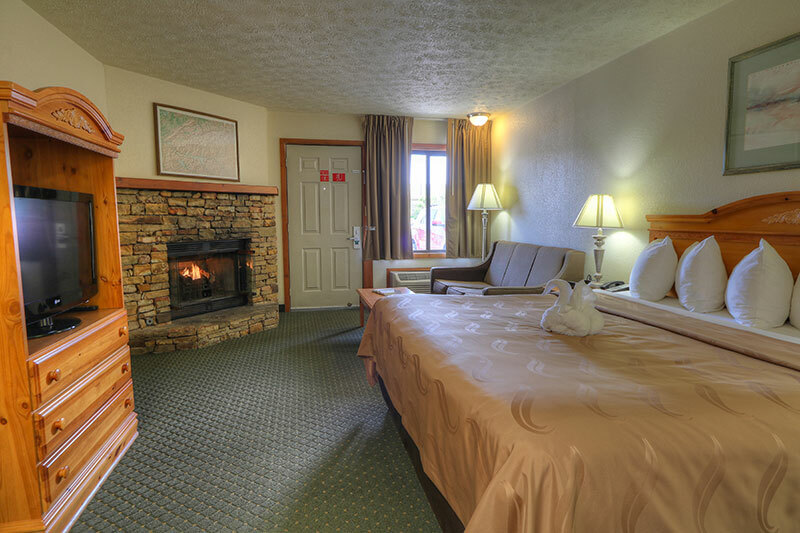 Take in all the sights of the Smoky Mountains resting assured that you can relax in a comfortable room outfitted with everything you need, from a refrigerator and microwave to TV and coffee maker. 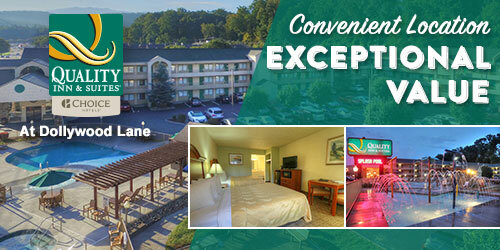 Inviting rooms and dynamic service will keep you returning to this fun location year after year.